This Friday evening, devout Jews will observe Yom Kippur, the Day of Atonement. This is one of the most sacred days the Jewish year and provides an opportunity to ask forgiveness for our failings. It seems an appropriate time to discuss one of our great failures, the failure to pray. 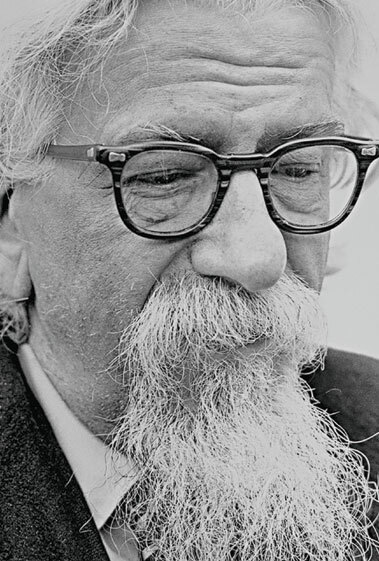 On the subject of prayer, I don’t know of a more powerful and compelling thinker than Dr. Abraham Joshua Heschel. In his wonderful book, Man’s Quest for God, Heschel wrote: “We do not refuse to pray. We merely feel that our tongues are tied, our minds inert, our inner vision dim, when we are about to enter the door that leads to prayer. We do not refuse to pray; we abstain from it.” When I first read that sentence, I knew the accusation rang true in my life. For most of us, we don’t actually say “no” to God; we just never open the invitation. No single practice or discipline can enrich or bolster our spiritual lives more than prayer. How can we possibly find it so difficult? Within my Order, we accept the discipline of an hour of prayer and an hour of study each day. I quickly found that the hour of study was no discipline at all; it was in fact wonderful to find an excuse for doing that which I already loved. What, however, was I going to do about this “hour of prayer” thing? One of the first things we struggle with is finding the time. I mean, there’s work, and things to do around the house, and the gym, and the endless distractions we all encounter. Then, once you’ve settled into it, the email alert goes off, or the dogs are barking at something, or the phone rings….or just about anything. In the Zen tradition, they call this “monkey mind,” the inability to focus one’s heart and one’s thoughts. And then, there’s the horrifying notion of what exactly am I going to say to the omniscient, omnipotent Creator of everything? I stammer, I struggle and time itself begins to decelerate. Someone once asked the former Archbishop of Canterbury, Michael Ramsey, how long he prayed each day. Ramsey replied, “About three minutes. But it takes me about 57 minutes to get there.” Our lives move so fast, but our spiritual lives demand that we slow down and learn to be patient in this dialogue. As we find ourselves on the precipice of a great mystery, it’s best not to rush the process. One method that’s worked for me regularly is beginning with the present: where I am, what’s happening in my life, what worries me and what I’m feeling. Somehow, those concrete and particular details provide a really good catalyst for prayer. After a while, I begin to see the connections between the ordinary, workaday events and circumstances of my life and the Source of my life. And finally, we begin to sense God rushing out to meet us, a God who is always “more ready to hear than we to pray.” Fundamentally, our prayer life should resemble a love story, because at its heart, that’s the essence of prayer. This entry was posted in Uncategorized and tagged Christianity, Dominican Order, Heschel, Michael Ramsey, Prayer, Yom Kippur. Bookmark the permalink. Thanks, James, I especially needed these insights this morning. I have to figure out a way to not fall asleep while I’m praying in the morning. Maybe get to bed earlier at night? I understand, but on the other hand, there are worse ways to drift off to sleep than in prayer…. You are speaking to my heart this morning, my friend. I needed the reminder / support much today. Thank you. I’m so glad it spoke to you. And I needed the reminder, myself. Gracias Brother James. I loved your last sentence. You are too kind, Christine…gracias a ti. There’s so many ways to pray beyond the Daily Office, devotional prayers from various traditions and even extemporaneous spoken prayer. I often find the most useful prayer in my daily life centers on sitting in silence by candlelight in my devotional space. If my mind becomes distracted, I engage in centering. This prayer of silence does more to provide me with inner peace and comfort than most any other sort of prayer. The second method of prayer that I have come to enjoy a great deal is singing Taize using a recording and song book bought from my cathedral bookstore. This is so very joyful and uplifting to me, and because I’m singing in private I’m not self-conscious about my lack of skill. Doing this by candlelight also creates a very nice environment for being fully present in prayer. When life’s obligations don’t allow me ample time for either of these, I turn to the Daily Office. One thing I know is that in keeping a personal rule, setting aside time for prayer is a priority and it has been immensely helpful to me to create a devotional space in my home office for prayer, contemplation and reflection. It serves as a constant reminder that I should keep my personal rule each day. Your blog posts are so very enlightening! I agree with all the practices you describe. When I get caught in “monkey mind”, I’ll often use what I call an anchor prayer: something very short to re-focus and redirect myself. (Often, this is just “Lord make haste to help me” or “Lord have mercy on me.” I’m glad you’re enjoying the blog. Pax.